EF Education First has announced the contract extension of Daniel Martinez. The Colombian has signed a three-year deal, starting in 2020. The rider arrived at EF Education First in 2018 after two years in Willier Triestina-Selle Italia. In his first year at the team, he finished seventh at the Volta a Catalunya, third in the overall classification at the Amgen Tour of California and won the Colorado Classic youth classification. His 2019 season has kicked out with success as he took the Colombian national time trial title, finished third at the Tour Colombia and got his first WorldTour win at the seventh stage of Paris-Nice. "I have really big goals, and I only want to keep discovering the potential I have," said Martinez. "The environment in this team is the best place for me to grow. "I'm excited for the future. I'm happy my future is with this team. I've liked the atmosphere we have here from that moment I first arrived. The way the team does things, the people, the support I receive. 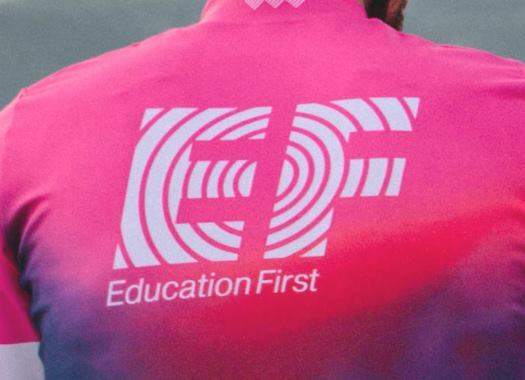 Racing with EF Education First is great." Sport Director Juanma Garate is glad about the news. "Dani is someone that really, really, really wants to be a cyclist," he explained. "He wants to finish his career without any doubts about where he could arrive. That means that he is willing to make every sacrifice needed to do this job at 100%. "He's young but surprisingly with very clear ideas for his age. I can tell you that the first time that I did an interview with him, 15 months ago, about his goals, I was super surprised with his answers. He's very, very ambitious, but, trust me, this kid is the chosen one to be able to fulfil his dreams."